All IOTile devices are associated with a Company account when they are activated. 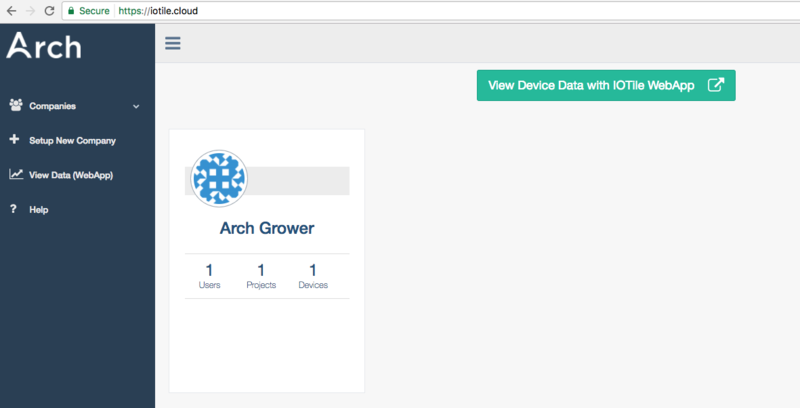 To view the data from a device on app.iotile.cloud or connect to it with the IOTile Companion mobile app, a User must be associated with the Company account. Inviting new Users to a Company account is easy as described in the steps below. 3. Click on the left number, which is your current number of Users. 4. Click on the Invite symbol in the upper right. 5. Select your Company from the pull down and enter the email address for the person you want to invite. You can go back to the Users page at any time to see a list of the people with access to your Company account as well as a list of all invitations that have been sent. You can resend an invitation or delete an invitation if needed.